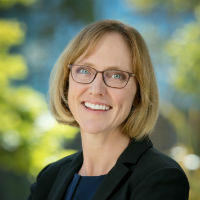 Kathy Coulter is senior intellectual property counsel at Bristol-Myers Squibb in Redwood City, California, where she manages global patent procurement, diligence, and transactional activities for assets in the immuno-oncology therapeutic area. She is a client-focused, business-savvy patent attorney with an 18-year track record of working closely with scientists and business executives to develop and implement successful global patent strategies to provide vital protections for biopharmaceutical and pharmaceutical assets in all stages of development. Before joining BMS, Coulter was senior patent counsel at Genentech and assistant general counsel, patents, at GlaxoSmithKline.